Home Artificial Intelligence AI vs. God: Who Stays and Who Leaves? Intolerance, crusades, national differences, terrorism and interpersonal disagreements – all those to some extent resulted from conflicting religious views.What about the lack of a religious belief? 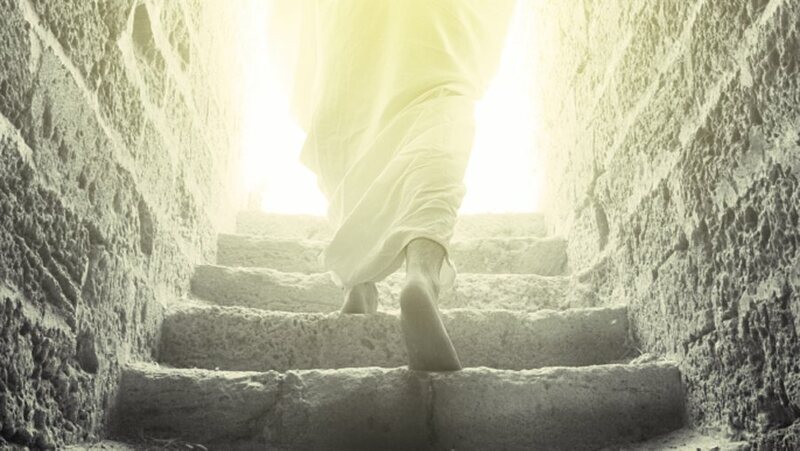 A major emergent trend of the last century came not from religious teachings but from the Scientific Enlightenment and hard data.As of 2010, Christianity was by far the world’s largest religion, with an estimated 2.2 billion adherents, nearly a third (31 percent) of all 6.9 billion people on Earth,” the Pew report says. “Islam was second, with 1.6 billion adherents, or 23 percent of the global population.An advance in AI and scientific progress in the last 8 years alone might have decreased the numbers dramatically. Still not as much as to liquidate spiritual beliefs of the vast majority of the world population. So, the fact is this: technological progress as it is will take time and generations change to convert world population from monotheistic religions to transhumanism.Why has religion settled so deeply in the minds of our compatriots? What has enabled us to elevate the individuality of human soul and proclaim our dominance on the Planet Earth?The simple answer is, – consciousness. Both religion and scientists state, that while other creatures might have urges and emotions, only humans are proven to have consciousness. The existence of consciousness is exactly what has given grounds to the ephemeral concept of human soul, propagated by numerous world religions. Yuval Harari can argue against our exclusivity for consciousness, but the truth is we still cannot evaluate the presence of such in other sentient creatures. What about machines then? Can a machine think, feel or exhibit consciousness? If you have ever had religious studies or read the Bible, you might know about Jesus’ skeptical student, Thomas the Apostle. He is informally referred to as “Doubting Thomas” because he doubted Jesus’ resurrection and performed miracles. Chances of seeing a new Appearance are as slim as the chance that the first one happened at all. Clearly, doubtfulness is not what religion tries to cultivate in its disciples. “In God we trust” – all you need to follow. Trust and believe. And you will be saved. Not a bad idea if you are a subjectivist. Eternal life and forgiveness if it is true, wasted mind processing power if it is not. Taking probability theory into account it makes much more sense to believe. Human nature is much closer to the Doubting Thomas, however. 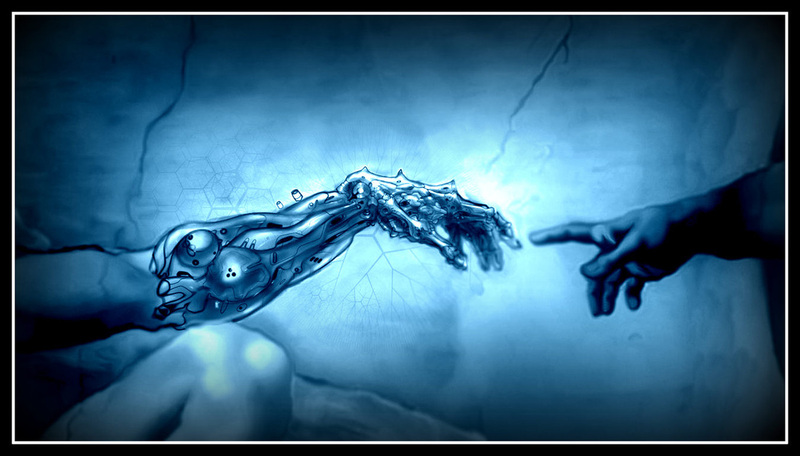 If there is anything that can pass a validity test for religion, it going to be our major AI undertaking – the creation of an “artificial soul”. Monotheistic religions claim there is some God-bestowed sacred element in us. All this talk about spirituality, 21 grams and an eternal life where our souls gather after departing the physical boundaries of our mortal body – these are all beautiful myths of the religious folklore. What is consciousness then? What is this element that enabled us to become the Masters of the Planet? What is this cornerstone of life that DARPA, Google and IBM are trying to explain, uncover and replicate? Looked from a neuroscientific point of view our consciousness is nothing more than the complex pattern of neuron firing inside our brains, while our identity and memory is a direct consequence of the strengths of our neuron links. A positive evidence represents an excitatory connection strengthening the link while a hypothesis negation leads to an inhibitory connection getting trash thoughts and “principles” out of our mind. Taking this approach, our soul appears to be made of a combination of electric signals and the number of connections inside our brains. 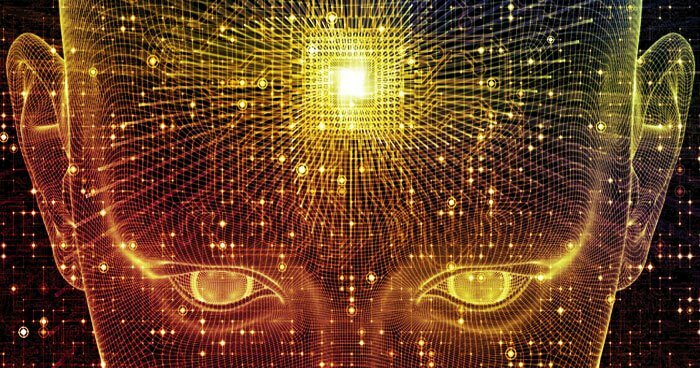 If this is the case and consciousness is a matter- embedded phenomenon, knowledge engineers should have no problems reverse engineering the brain, especially accounting for the advances in computing power and the speed of transistors. The nervous system of the C. elegans worm was completely mapped in 1986. Maybe it will take only another hundred years to map the human brain! While the parallel processor nature of our brain has been developed by millions of years of evolution, computers’ ability to use the same wire thousands of times per second might very well be enough to approach human “thinking mechanism”. Or will it not? Will the hard wiring be enough to recreate a sacred human spirit? Will the sheer power of computing and the size of a simulated brain be sufficient to jump start a hitherto now mysterious processes of love, hope, ambition, belonging, creativity, fear, lust and curiosity? It will be, according to numerous machine learning experts, knowledge engineers and sci fi authors, like Olaf Stapledon (Forth Men, Chapter 11). Everyone just sees the process of getting there differently. Ray Kurzweil is predicting Singularity to come before 2045. Working in machine learning industry at the moment, I have no doubts we will reach Artificial General Intelligence in our life time. The question is: will this AGI have consciousness? Will it live by the same principles and desires as we do? Does it have to do so to be intelligent? This a much more complex and philosophical one. However, if we ourselves can create an artificial soul in silicon matter, the concept of a divine spark in our souls will give way to evolutionary Darwinism once and for all. It will be exactly the answer to the consciousness quest that will end the centuries old debate on the existence of God. Previous articleUniversal Basic Income: Machine Slavery Or Ultimate Freedom?